Self-service ticketing platform Eventbrite has acquired London-based event data company Lanyrd, and Argentinean-based ticketing company Eventioz, for an undisclosed amount. According to the company, these acquisitions (first for the company) will bring product and technical assets to Eventbrite, as well as industry expertise in a new region- Latin America. "It's time for us to accelerate our growth around the world. These two acquisitions perfectly align with the strategic focus for the company, while adding significant assets and technical power to our platform," said Kevin Hartz, co-founder and CEO, Eventbrite. 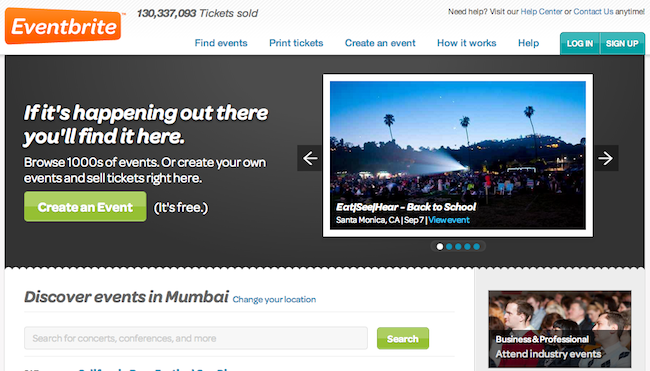 Eventbrite enables people around the world to plan, promote, and sell out any event. In April this year, Eventbrite had raised $60 million in funding led by Tiger Global Management. At the time, the company had mentioned that it will invest in accelerating international expansion, mobile growth and development, event discovery, as talent acquisition. These acquisitions are a part of the same. The company's other investors include DAG Ventures, Sequoia Capital, T. Rowe Price, and Tenaya Capital. Earlier this year, Eventbrite had announced that it had processed over 100 million tickets across 179 countries, totaling more than $1.5 billion in gross ticket sales. One-third of those ticket sales had occurred within the previous 9 months. 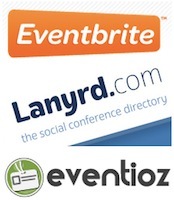 A social conference directory based in London, Lanyrd allows users to add and discover events as well as track their friends' professional event activity. The company's product also allows speakers and attendees easy access to event information, slides and video of presentations. Founded in 2010, the company claims to have aided nearly 40,000 events in 148 countries till date. Post acquisition, the Lanyrd team will relocate to Eventbrite's headquarters in San Francisco (US), while Eventbrite will continue to support Lanyrd.com and its community. "The Lanyrd team's efforts in 'tagging' and 'structured data' around live experiences is valuable to us as we dig further into event discovery, the buyer-seller experience and organiser analytics. Eventbrite will also benefit from Lanyrd's mobile development and product expertise," said Pat Poels, VP of engineering at Eventbrite. Eventioz is a Latin American ticketing platform with operations in Argentina, Brazil, Chile, Colombia, Mexico and Peru. Since its inception in 2008, the company claims to have helped over 15,000 organisers create, promote and sell tickets of nearly 20,000 events. "While there are a lot of country-specific competitors to Eventbrite, Eventioz has built one of the few truly cross-border platforms. Further, Eventioz covers an impressive array of payment alternatives in a region where traditional credit cards and bank accounts do not offer much advantage. This will allow Eventbrite to enter multiple markets simultaneously with the right mix of local language, local customer support and payment alternatives," said Randy Befumo, VP, strategy at Eventbrite.